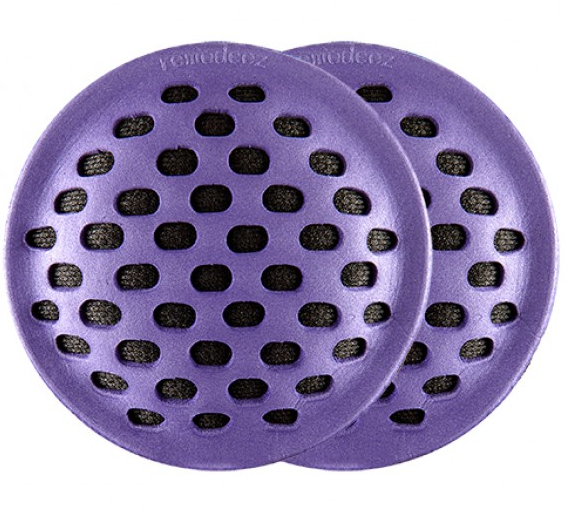 If you’ve been working out extra hard at the gym and your gym bag is NAST, throw this little thing in there. This works for your laundry basket, or even your car if it’s gone through one too many McDonald’s drive-thru nights and now smells like a Big Mac (although that’s not necessarily a BAD thing). Sometimes all you need is a good blazer to feel like your life hasn’t totally gone off the rails. Maybe I should say sometimes I need a good blazer to feel like my life hasn’t totally gone off the rails. 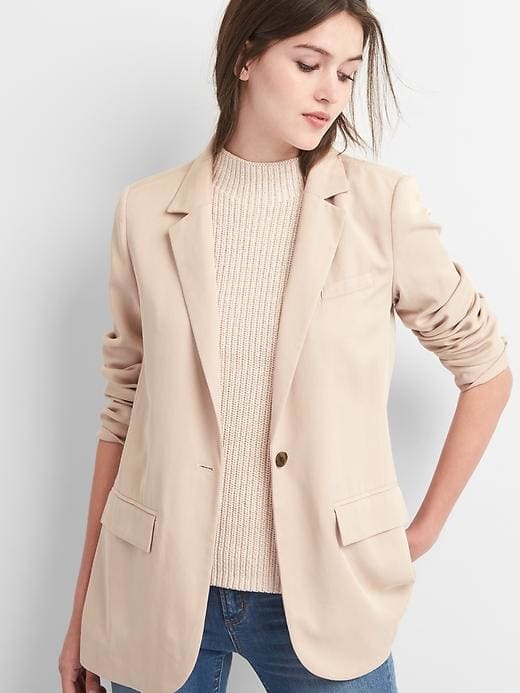 Anyway, in all seriousness, this blazer WILL make you feel like a badass who can handle anything that comes your way. I love the color (“dull rose”) so much because it’s softly feminine, and it’ll go with everything you own. And, oh yeah, it’s on sale. Only three sizes left — scoop it up while you can! You may think of Stella & Dot as a jewelry company, but they also make fabulous clothes. 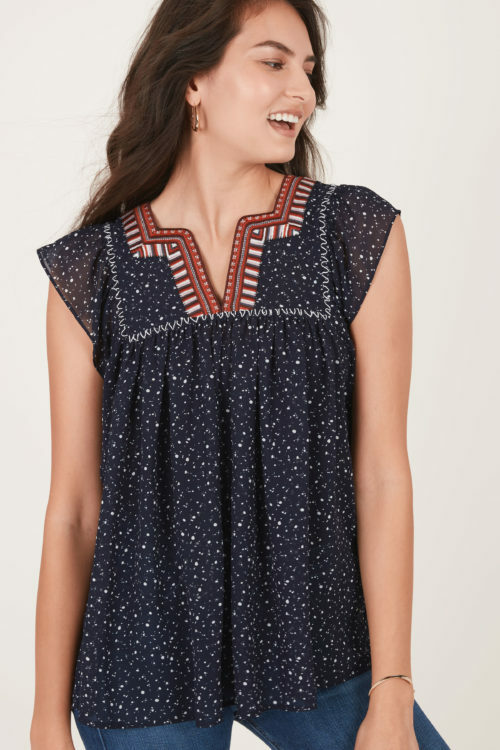 I’m in love with this sweet little tunic-style top. 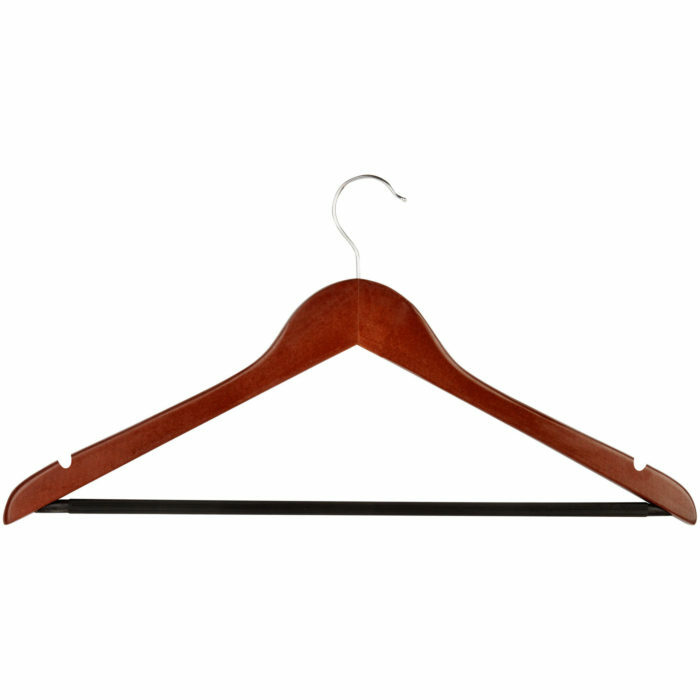 It’s the perfect transition piece for late summer/early fall. I just realized that I’m desperately in need of some more closed-toe, flat shoes for fall. I really have my eyes on these suede black slides from Tkees. They’re perfect for a SoCal girl like myself. And I have a feeling I’d have them on heavy rotation all year long. I know it’s almost a wrap on summer, but I plan on maintaining a glow well into October. 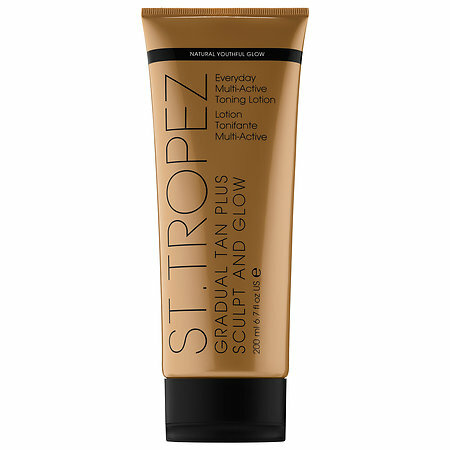 Nothing gives me a fool-proof, streak-free faux tan quite like St. Tropez.